Here at Magnet Trade, we love to support the communities in which we are based. A recent example of this was our donation to the Keech Hospice, located near our Bedford store. Recognising the amazing work the hospice does for the community, Vip (pictured on the left) and the team at Magnet Trade Bedford kindly donated a kitchen to Keech, fully fitted by local tradesman Dave Gibbs from Dave Gibbs carpentry. 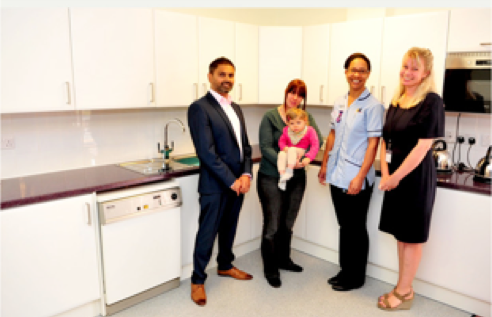 The kitchen has enabled staff to support the nutritional needs of the patients, whilst also allowing families a nice place to cook and eat together. We are honoured to have helped make a different to the hospice.